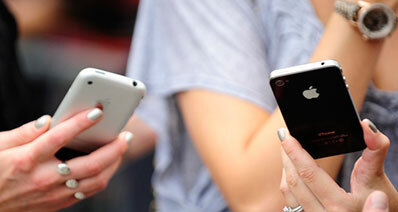 Safari is the default web browser possessed by iOS devices and is most commonly used web browser. While accessing internet, you can create a bookmark of the liked websites or pages. Safari also stores history of all the accessed pages. But somehow, if you have deleted them, you will get helped through this article. We will explain you how you can recover deleted Safari history/bookmark on iPad with 4 easy methods. 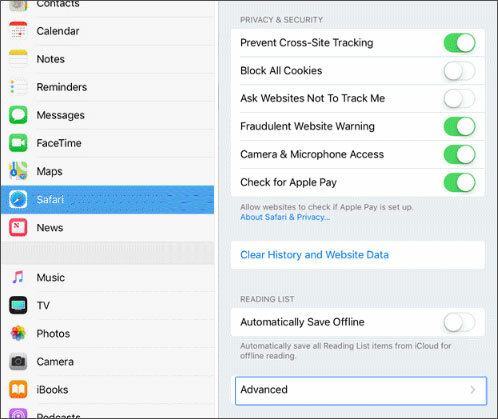 A convenient way to recover deleted safari history on iPad is viewing and finding it in your device’s Settings itself. You can use this method and fortunately fulfill the purpose. Within a few taps, you will get your history back to you. The steps that are supposed to be followed are given below. 1. Get your iPhone and go to ‘Settings’ firstly. Swipe up to find the ‘Safari’ option. Tap on it when found. 2. When you come to Safari menu, go to the bottom and tap ‘Advanced’ option. 3. 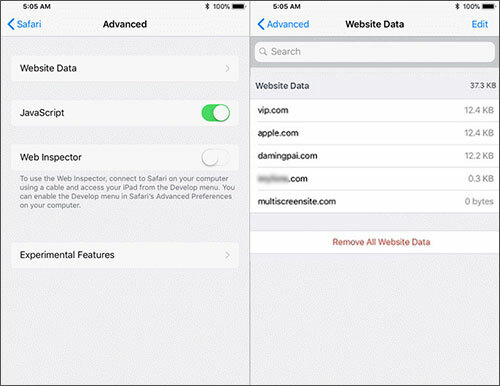 Then tap on ‘Website Data’ and you could see deleted Safari history there easily. If the above method didn’t help you, we have a better option for you. It is iSkysoft Toolbox - iOS Data Recovery. This tool is designed for the users who have little or no technical knowledge. Putting in other words, this tool can be easily used by anyone since there is no special techniques needed while using it. 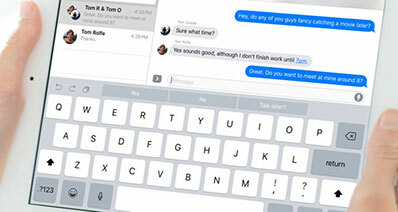 One can perfectly trust on it for its 100% security and compatibility to iOS versions and models. 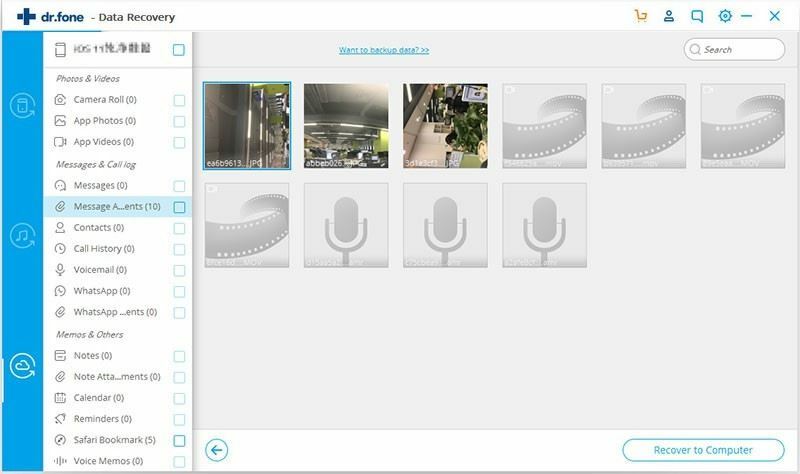 This tool has amazing power to scan the files and let you preview your files before recovering it. 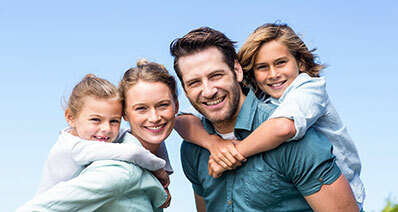 You can use three professional modes given by this tool i.e. 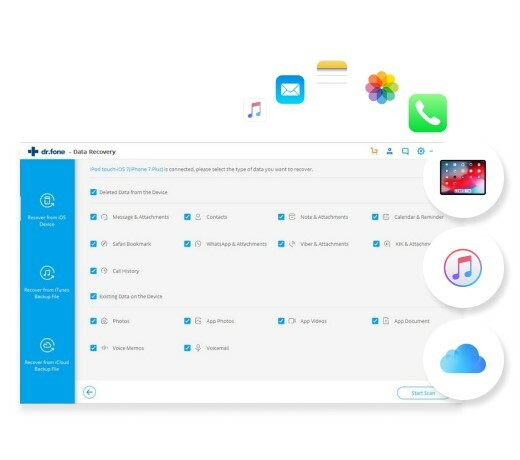 ‘recovery from iOS device directly’, ‘recovery from iTunes backup’ and ‘recovery from iCloud backup’. 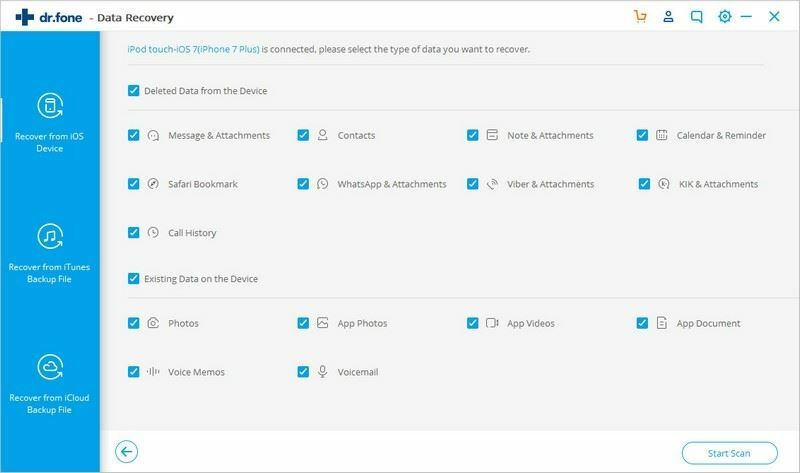 You can recover your data that has been lost under any circumstance such as factory reset or accidental deletion. 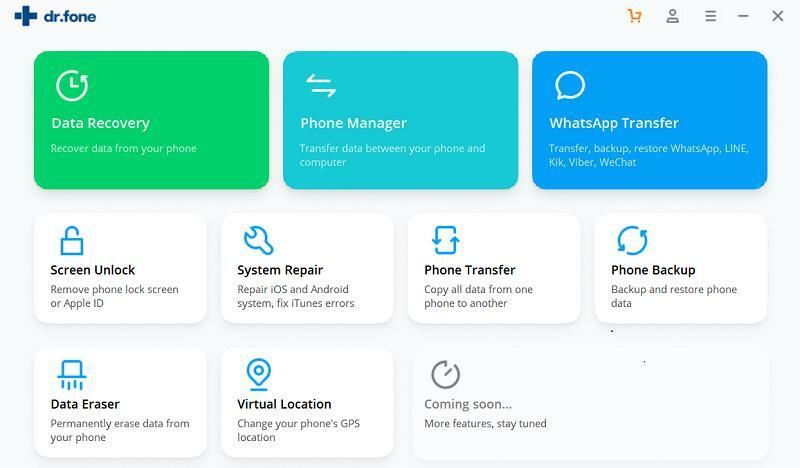 This software can be used to recover Safari history, photos, videos, messages, contacts and more on iPhone, iPad and iPod Touch. 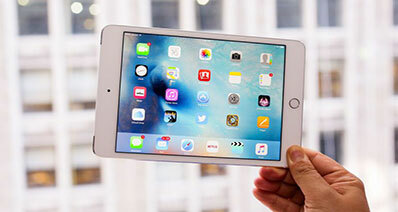 It supports every iPad including iPad mini, iPad Air, iPad Pro, etc, and iPhone, iPod Touch. 1. Start with downloading and installing iSkysoft Toolbox on your Mac/PC and after installation, launch it. Establish connection between iPad and computer and click on ‘Data Recovery’ from main interface. 2. Now, from the next screen, you need to choose the desired file type you need to recover. Click on ‘Safari bookmark’ and go to ‘Start Scan’ option. On clicking, the program will start scanning your deleted Safari bookmark and will provide you on the next window. 3. 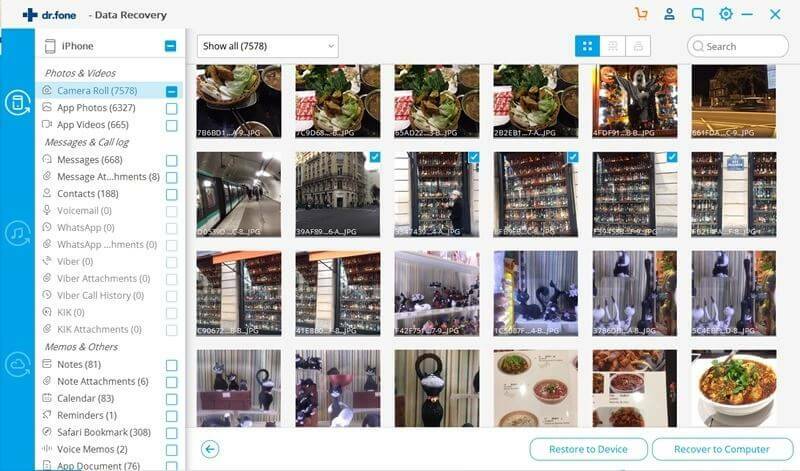 Now, you can preview your data that you have scanned. After previewing it, click on ‘Recover to Computer’ followed by ‘Recover’ and within a couple of seconds, you will accomplish what you wanted. Therefore, your deleted Safari bookmark have been successfully recovered! 1. As above, firstly launch the best iPad Data Recovery Software to begin the process and hit on ‘Data Recovery’ panel from the main screen. Now, from the left panel, you need to click on ‘Recover from iTunes Backup file’ tab. 2. Now, your iTunes backup files will be detected by the program and you will get to see the list of backup files. 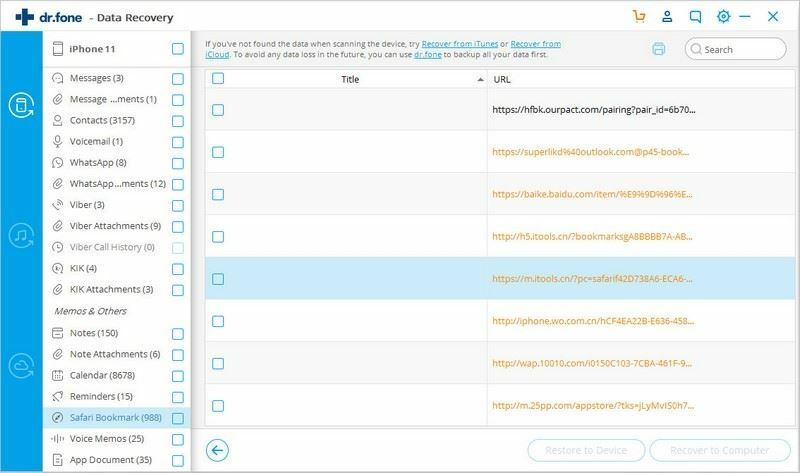 You need to select the one in which your Safari data is. Once you pick out the correct backup file, hit on ‘Start Scan’ button so that the program will scan your data. 3. As the last step, you need to first preview your data. Look at the left panel where the results are showing. Click on the desired file type and it will get previewed on the main screen. Once you are done with previewing, you need to click on ‘Recover to Computer’ button and to finish and confirm, click on ‘Recover’ button. 1. 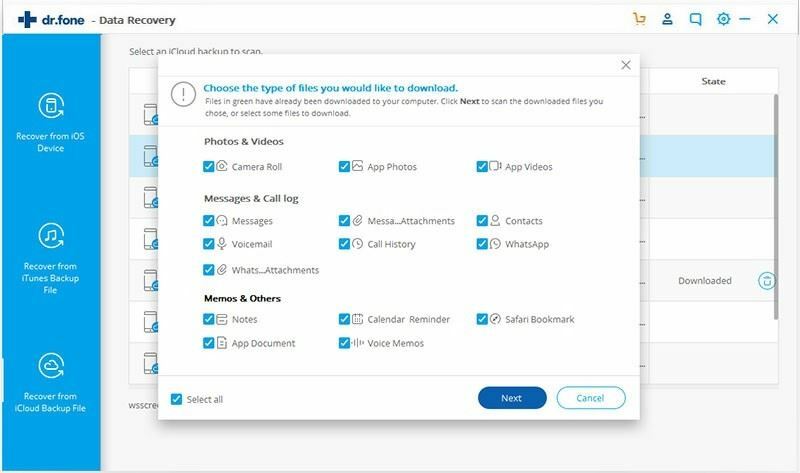 Firstly, open iSkysoft Toolbox on your respective computer and click on ‘Data Recovery’ tab as we did in each case above. Now, choose ‘Recover from iCloud Backup file’ tab from the left panel. 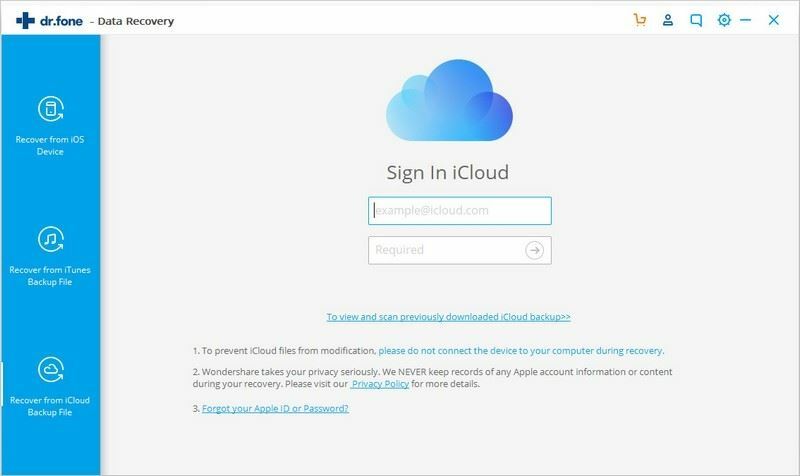 Now, it’s time to sign in to your iCloud account. Start entering the iCloud details and proceed to sign in. please keep trust on the software as it won’t keep any of your personal information. 2. 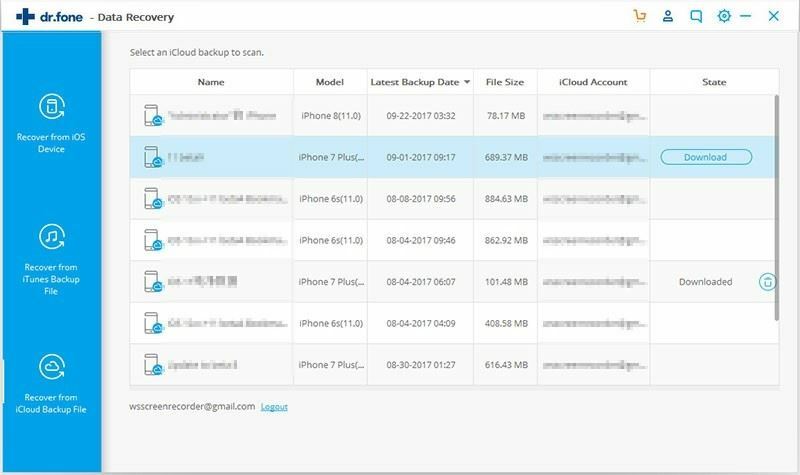 After successful login, your iCloud backup files will be listed on the screen. You need to choose the appropriate one and click on ‘Download’ so that the selected file will be downloaded. From the next pop-up, click on Safari bookmark and hit on ‘Next’ button. 3. Finally, you will get the last window same as in above two scenarios. Click on the file type on the left panel and preview them. To complete, click on ‘Recover to Computer’ and then hit on ‘Recover’ button. So, that was all about recovering deleted Safari history/bookmark on iPad. Concluding the topic here and hoping that you are now well aware with the deleted Safari history recovery process. We would gladly like to know what method helped you. You can drop comments below and even ask if you have any query. Thanks!